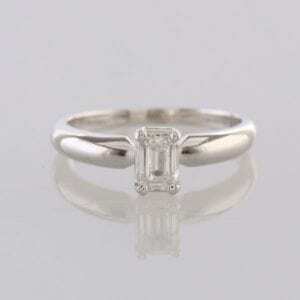 At The Vintage Jeweller, we thought it only seemed right to explore the ring further and do a little extra research. 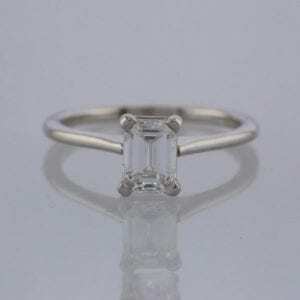 The exact specifications and designer of the ring have yet to be confirmed but that hasn’t stopped gemologists and jewellers from speculating. 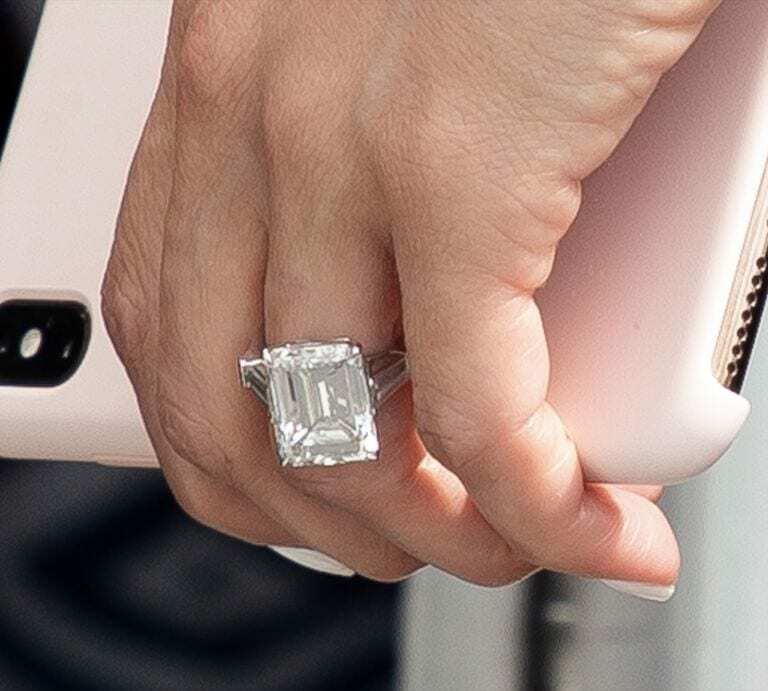 Experts have estimated the diamond could be anywhere in the region of 11 and 20 carats, while the price of the ring has been estimated anywhere between $1 million and a whopping $5 million dollars. 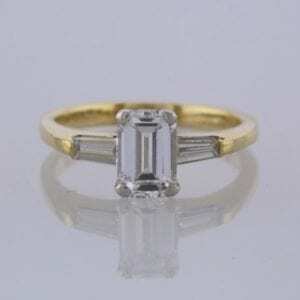 An emerald cut diamond is a rectangular shape, often referred to as a ‘step cut’, as it features shortened corners and a broad, flat plane that when viewed from above resembles stair steps. 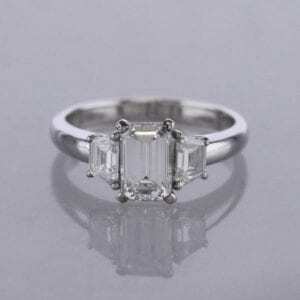 An emerald cut usually has 57 facets, of which 32 are on the pavillion and 25 on the crown. The shape of the emerald and the formation of its large open facets places emphasis on the clarity of the diamond and, therefore it is advised to only purchase emerald cuts with high clarity grades. I’m sure J.Lo has nothing to worry about here! 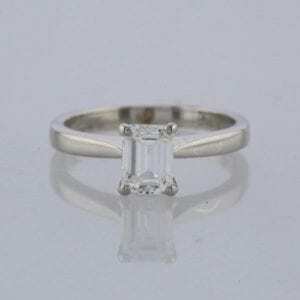 The traditional choice for consumers when choosing an engagement ring has been the round, brilliant-cut diamond which tend to have more fire and brilliance than emerald cuts. 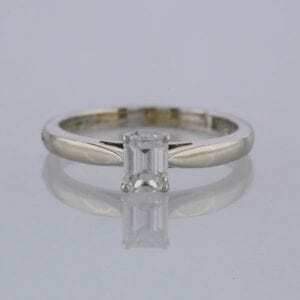 However, non-traditional engagement rings have become far more common in modern times. When Brad Pitt proposed to Angelina Jolie, he too opted for the less traditional emerald cut diamond ring. 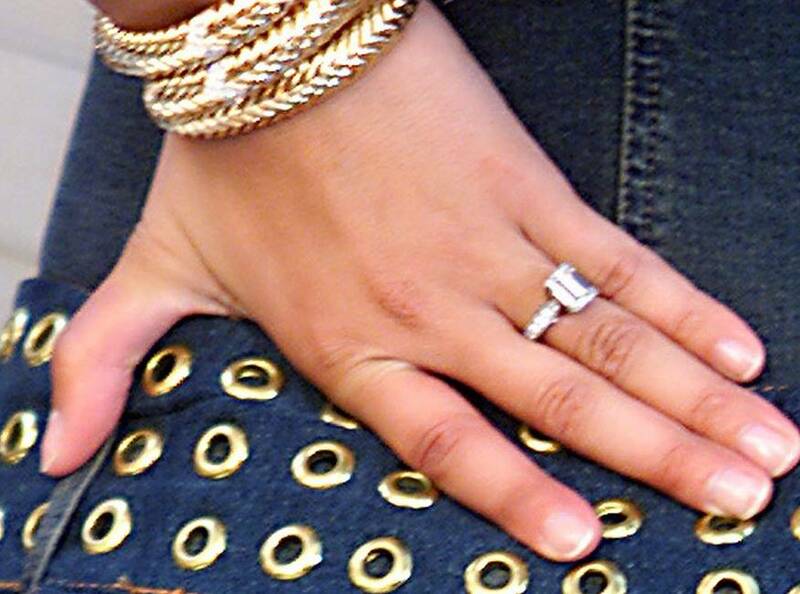 In fact, this is the FIFTH time that J.Lo has been proposed to and with a wide variety of rings. We’ve had a quick recap of the other four rings and have listed them below for you to pick your favourite. 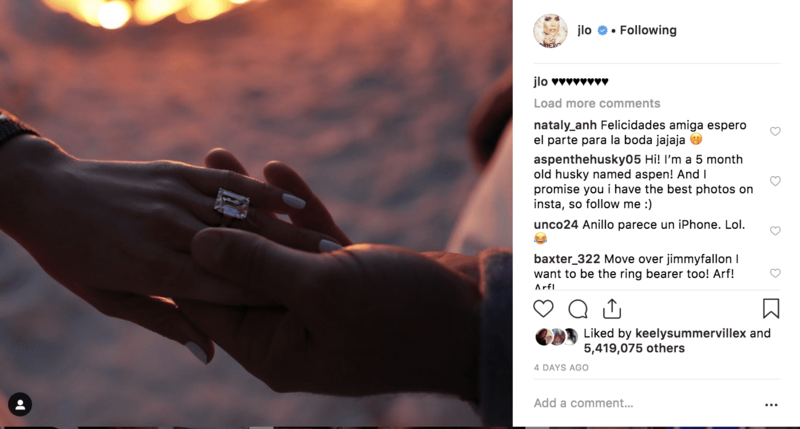 Ohani Noa proposed to J.Lo with a pear-shaped diamond ring, estimated to be worth six figures. Chris Judd also proposed to J.Lo with this emerald-cut diamond ring but way smaller than her latest one. When superstar actor Ben Affleck proposed to J.Lo, he choose this special Harry Winston 6.1 carat pink-diamond solitaire worth approximately £2 million. Marc Anthony proposed with this 8.5 carat blue diamond ring, also from Harry Winston, worth approximately £3 million. And one final look at this astonishing ring from latest suitor Alex Rodriguez. So which one is your favourite? One thing is for sure, J.Lo is a lucky girl!